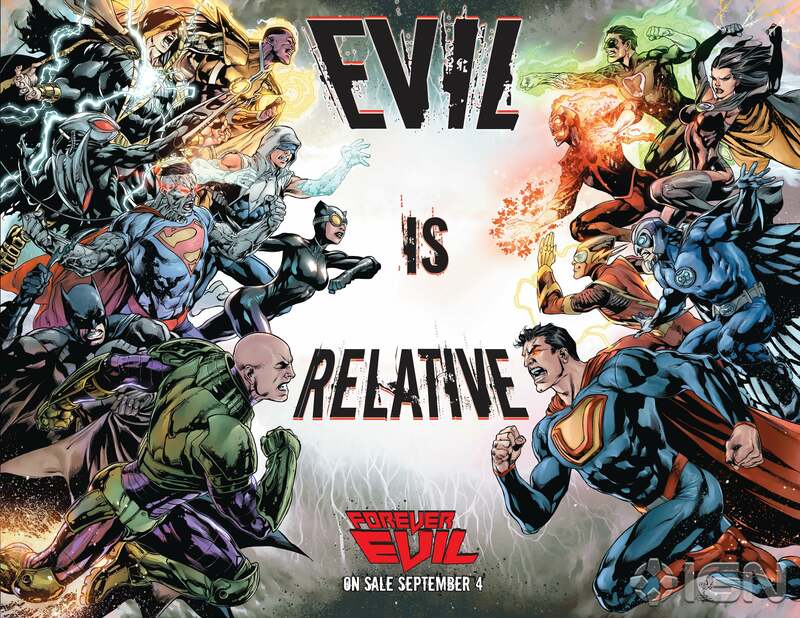 DC Entertainment's Chief Creative Officer Geoff Johns, who also writes Justice League and Justice League of America for the comics publisher, confirmed for IGN today something that ComicBook.com guessed a week or so ago: that the "real" villains of the Forever Evil event won't be the DC Universe's Secret Society of Supervillains, but the literal Pandora's Box that they open to allow Earth-3's Crime Syndicate of America to come over. 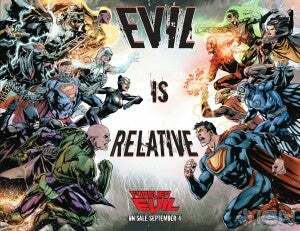 "The Crime Syndicate will be the ones leading the charge to take the world in Forever Evil," Johns said, confirming that the team will make their first New 52 appearance in Justice League #23. "Evil is relative – and what I mean by that, is that our villains are as complex, as deep and as compelling as any of our heroes. Every antagonist in the DC Universe has a unique darkness, desire and drive. And the reason for being of Forever Evil is to explore that darkness," explained Johns. "We start literally, in the first issue, when the whole world goes dark; communication and power are gone. And as our Earth is plunged into darkness, the Crime Syndicate begins their plan for conquest." The writer added, "[They] make themselves known and they enact their mission to take over. They will lead an army of super villains, but not every villain sees things the way they do. Every villain in the DC Universe wants something different and not all of them want to rule the world. Or at least, not all of them want to rule the world in the way the Crime Syndicate do."